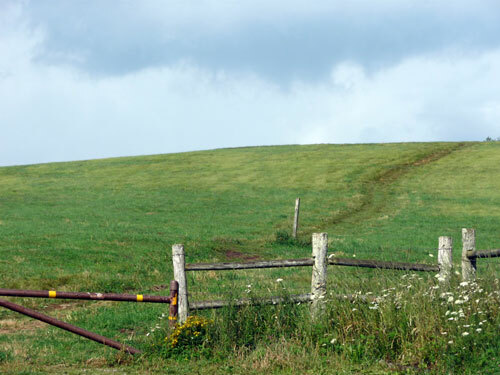 We hope everyone has had a wonderful week and are gearing up for a fantastic weekend. The weather around here has gotten hot again and there's threats of rain. That won't stop the party for us though as the Kiddo turns the big 1-5 this weekend and is having some friends over for tea. I don't think it will be your normal tea party though, as it turns out, it will a slight bit mad. Anyway, we've just about completed the nursery for Little Miss Dinah. There's just a few items left, mostly decorative in nature though so all the hard stuff is completed and out of the way. Being that it's Friday again, you know that means it's time to get in on some great giveaways and this week is no different from the previous weeks. There's three new giveaways going to let you in on and a few that are still on going to remind you about. So let's get started shall we? First up on the list is happening with yourLume.com. They are launching a new Adventure Travel site (adventurelume.com) around the September time frame and to get the interest going, they are giving away a GoLite backpack on September 31. 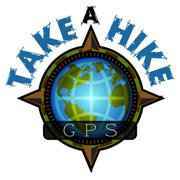 All you have to do is sign up to be a member to adventurelume.com (only takes your email address) and that's it. Next up, The Daily Hiker has reached back into their gear closet for another great giveaway. This time around they are offering to the gear seekers, a Primus ETA Packlite Camp Stove . Same as before, to get in on this you have to send a pic into them via email of you doing what you love outdoors and having Daily Hiker appear in the photograph in some form or fashion. Check out their giveaway post for the email address and other details. You have until August 22 to get those pics in. 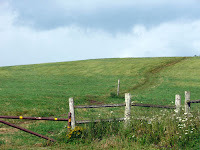 Finally, Tom and Atticus are at it again, and this time they have up for grabs a $25 giftcard or online store credit to the Mountain Wanderer Map/Book Store up in New Hampshire. All you have to do is post your favorite summit pic to the Following Atticus Facebook wall and this evening around 8:00pm, Tom and Atticus will randomly select a winner to receive the $25 credit. Sounds easy right? What are you waiting for? Get that summit pic posted now. So those are all the latest, greatest, and new giveaways that we've come across this week. Don't forget about the monthly giveaways that are still going on. 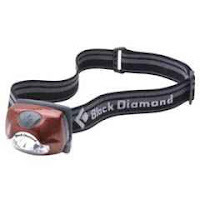 Over at PAHikes.com they have a Black Diamond headlamp up for grabs. Head over if you haven't already and enter to win. 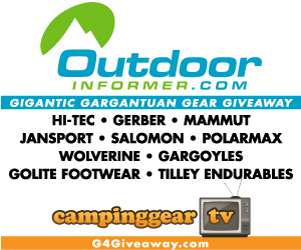 If you haven't heard already, (you must be living in a cave or under a rock) Outdoor Informer and Camping Gear TV have teamed up with several outdoor retailers to bring us the Gigantic Gargantuan Gear Giveaway (aka G4). Up for grabs is 15 different prize packages filled with gear from a multitude of gear from various outdoor retailers. Each prize pack is valued at over $500. That's a lot of swag and what's great is you can enter once a day between now and the end of August for your chance to grab one of these great prize packs. Anyway, there you have it. All the great gear and swag that's being given away to some lucky individuals. Could that be you? You've got to enter to win. Until next time, have a great weekend and we will see you all on the flip side.